It's that time of year where we all tend to cast a glance back at the compilation of time and experiences of the past 12 months. Highlights, low moments, adventures had, experiences enlightened and so on. Media outlets issue the year's best lists and even bloggers find recaps a fun way to realize all life has held for this year preparing quite quickly to close! When 2018 began, I was in the middle of sabbatical and finally turning a corner to some much needed spiritual healing. I prayed for God to show me how to best honor Him with the extra time I had on my hands since writing was on hold, He was faithful to answer. He said, READ! And read I did. The books God led me to played a phenomenal role in my return to peace and understanding. Some were titles I enjoyed with my high schoolers as they worked on literature tie-ins to their history studies. Others were finds intended to encourage me as a homeschool mama (even after 11+ years it is still needed!!) Even my leisure fiction finds were a reprieve, helping me to find missing pieces of my more romantically creative self! Being a firm believer in the idea, good things are meant to be shared, I have decided to compile a recollective list of my literary adventures from the year! NOT included are my book reviews for Tyndale and Lifeway or the books I started and then returned to the shelf because I didn't like them at all!! I can't remember how I found this book but I can say, it was a TOTAL LIFE-CHANGER for me. 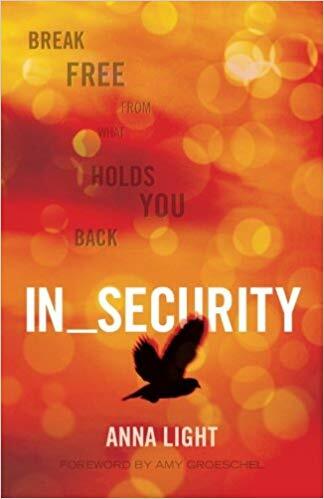 I read In_Security at the beginning of the year and through it's pages, God healed me from over 40 years of self-destructive thinking stemming from un-attended insecurities. If you or someone you know struggles with even a small measure of Insecurity I HIGHLY recommend this read! 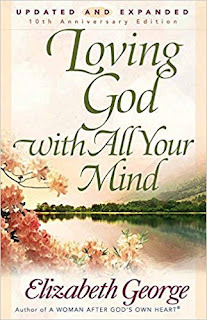 God led me to read "Loving God..." directly after In_Security. I had it sitting on my shelf for some time, having read some of George's other works and loving them, I always welcome opportunities to read her material. 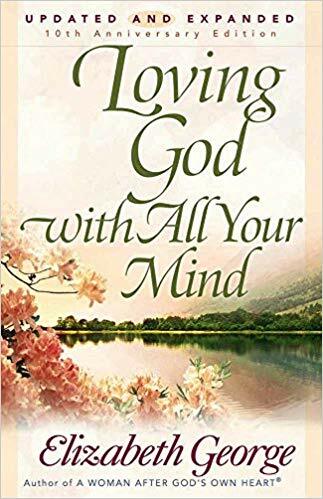 This book mirrored In-Security in some ways and filled in gaps in others, solidifying the healing process God was guiding me through. This little devo intertwined with the above two books during my morning study time. 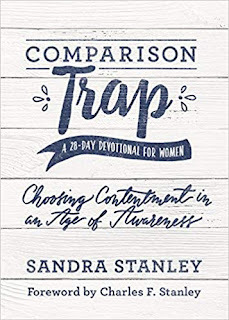 I don't really follow Charles Stanley and I didn't have any of the teaching series Sandra references but this book worked well on it's own anyway. Comparison is something I believe many women struggle with, and I was no exception by far. Walking out the daily devotions helped me find peace in who I am and where I am. I also learned how to better celebrate others, even when they are "have" those things which I long for. I am now truly able to walk more contentedly as I genuinely celebrate other's regardless of where I am at! Loved it. I attended an online writing conference where this book was showcased as a self-publishing success. The title grabbed me because of my missions experience so I ordered right away! I have since called this my field exit debriefing in a book!! God used it to tie up some of the loose ends in my healing this year. Learning how so much of what we experienced in and out of field work was ordinary (even if hard) helped me make peace with many hurts and adjustments. This book isn't just for missionaries though, I recommend it for ANYONE, especially those who know missionaries! 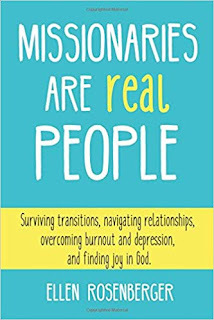 Ellen's insight can help open dialogue and understanding for better interpersonal communication with missionaries. All of my spiritual growth reading this year was well caped off with the Casting Crown's lead singer's book "The Well". I sent this to a friend of mine for reading material during major surgery recovery. I sent other books as well... she never read them because she couldn't put this one down!! Said she read and re-read... it is truly THAT good! 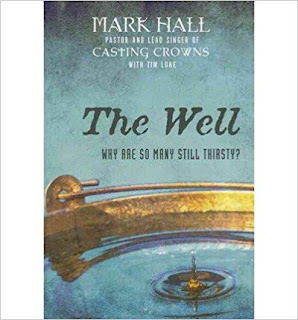 Mark uses the story of the Samaritan Women at the well as the base-line in this manual on recognizing when we are drawing from any other source than God for our strength and purpose. A must read for the discerning Christian! I asked for and received this great break-out book for Christmas 2017. I enjoyed every minute of authentic sharing Amber Fox poured into these pages. 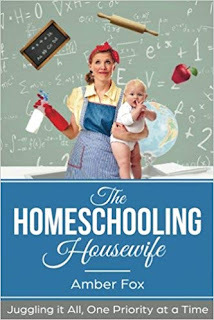 Her words were a breath of fresh air blowing across the spectrum of juggling homeschooling AND the art of Housewifery. 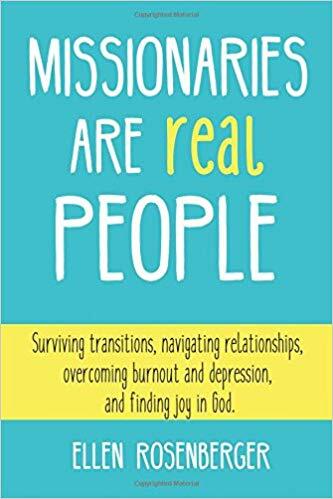 She approaches all aspects of daily life with a Biblical perspective and left me encouraged to keep plugging ahead, knowing those bad days are normal and hopefulness really does go a long way. I sampled Prime Unlimited on my reader this year. 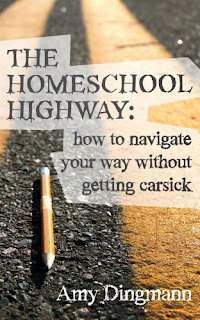 "The Homeschooling Highway" was a perk I enjoyed during my free trial. Amy's book is a quick and easy read encouraging homeschool moms with tips and tricks of the trade. I will admit, much of her advice was old news to my seasoned experience... but it was a blessed confirmation to hear another mom with the same heart. I recommend this book most especially for new and newish homeschool families. 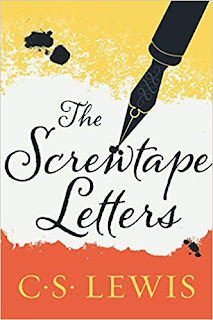 I finally read ALL of Screwtape Letters. LOVED IT. I had assigned it to the kids during a C.S. Lewis unit we did in conjunction with our World War II studies. We know, from the Apostle Paul, that the life we live has spiritual battles happening in the unseen. Lewis did a fabulous job of looking at this unseen fight for man's soul. Timeless. 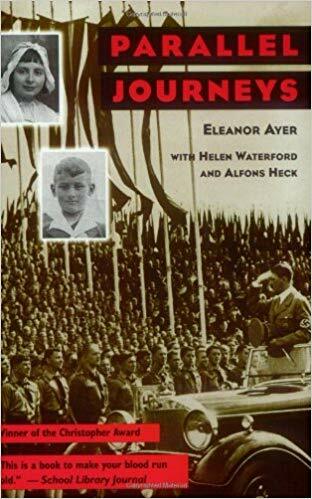 Also on our homeschooling reading list during our World War II unit was this eye-opening true account paralleling a young Jewish woman and German boy as the events of Hitler's Nazi regime unfolded across their lives in Europe. We were going to read the typical Anne Frank, which I had found utterly moving years ago. 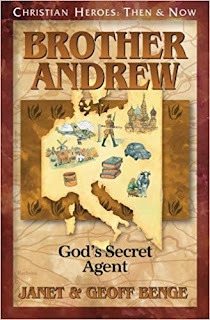 However, I wanted Brenden to be able to read about a BOY during this period and this book satisfied both him and Brooke on identifiable perspectives. In the end, I found I prefer this story over Anne's! Not to diminish her sad account, but because of the rounded perspective it provides. 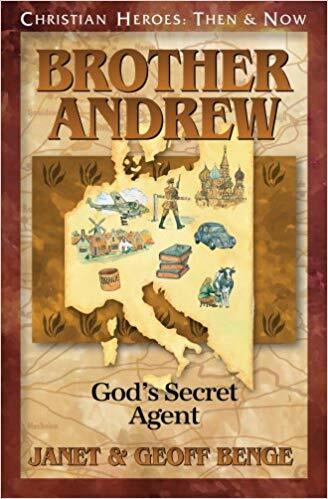 As we moved out of World War II and into the communist era, the kids and I each read about Brother Andrew. I found his story inspirational because he went from falling so far away from the Lord to risking his life in absolutely radical faith moves which I felt reflected what true relationship with Christ should look like! I had yet to read any Orwell but as we wrapped up the school year and Brenden prepared to graduate, I felt it imperative to be exposed to the concepts in Animal Farm. 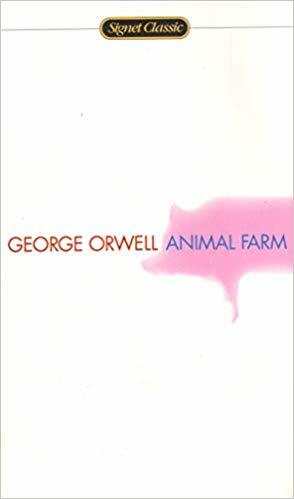 Zach had read 1984 in public school and Ashley read Animal Farm for me in her Homeschool senior year (though I didn't read it with her then! ), I figured it was time. We all LOVED it, though the satire of socialism/communism was quite sad, it was also inspirational, reminding us to stand up for our freedom, be educated and stand firm by truth... even if you end up as glue. Having NOTHING to do with homeschool, I decided to read something a bit fun and lighthearted this summer! I love Juvenile fiction and the subtitle on "The Penderwicks" seemed enchanting. 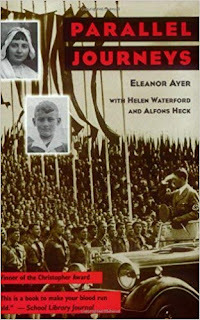 I liked the book and can see why it won awards, however, I am glad I didn't require my kids to read it. 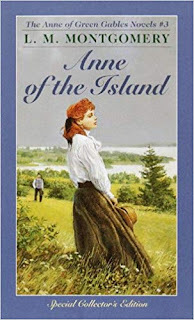 I expected it to be reminiscent of books like "The Boxcar Children" but instead I was surprised to read of more mature issues like crushing on a boy too old for a pre-teen girl and the lengths which she would go to calculate encounters with him. If you read this with youngsters, be prepared to discuss this area. I actually started this one in 2017 but I finally finished it in 2018! I read Anne at bedtime on my reader. I was never exposed to her as a child but I am grateful to be enjoying her adventures as an adult. I love Anne's carefree and imaginative spirit. She reminds me of myself when I was younger! I even started AND finished book 3! 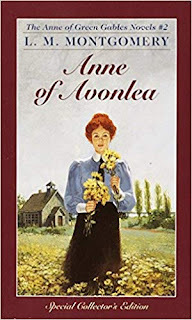 With Anne maturing in this installment, I found it to be much more suspenseful and lost much sleep reading onto next chapters to find out what would happen next!! I am now slowly trotting through book 4, hopefully I can report that as a completed read in 2019! And that is it!! Or at least that is what I can remember! My brain feels full and I have loved these literary adventures in 2018, I look forward to what great books God has in store for 2019! What did you read in 2018? Any big favorites or recommendations? Have a blessed rest of the Christmas Season and a joyous New Year ringing-in! This has been a Five Minute Friday Post in conjunction with Kate at Heading Home where bloggers are sharing the books they read in 2018. Hop over for more great reading ideas and/or to share your own! and laid him in a manger, because there was no place for them in the in. "I'm just not in the Christmas 'Spirit' this year"
"I don't know what it is, I just can't get 'into' Christmastime"
Christmastime is here. Come this time next week, presents will be unwrapped, New Years Resolutions will be considered and the holiday hubbub will be drawing to a close. Another year over. Some will be relieved, some will feel longing... either way, it will be the fact of life. In my own household, Christmas "spirit" sentiments like those above are confided every year. Some really tough stuff has gone down in my family's lives around the holidays. Not because of the holidays, but simply in conjunction. This year is no exception. For me, I lost my mom unexpectedly when she was at the young age of 48 on October 28, 2002. I was pregnant with my youngest, spent the first week of November making funeral plans, casket selections, grave plot choices and following a hearse too soon to her final "resting place" - a memory I always mist at - and the rest of the month combing through her life's belongings. December that year was cold and lonely and full of pain, waiting the final weeks till my daughter's birth and longing for my mother though she be gone. But the Spirit was there. and for the glory to your people Israel." Let me make a suggestion here: what if the "Spirit of Christmas" isn't what everyone thinks it is. It isn't a jolly old man in a red suit jumping down chimneys. Sure, he has always visited our home and we enjoy reading and making up various stories upon his adventures. He was a real man once. A man so devout to the true Spirit of Christmas and generosity towards children and the under-privileged that the church made him a Saint. But while we enjoy that frivolity, all my kids are beyond Santa Claus age, it isn't where the "Spirit" of the holiday lies. No, the original motivation of the real Santa can be our clue. Look at Simeon. What was he filled with? My answer... the original and first ever Christmas Spirit. The Holy Spirit of God and the joy of promises being fulfilled and hope coming to a dark world. God through Jesus didn't instantly do everything he promised in that moment as Simeon's eyes met God incarnate. No, but God had shown the people hope had come. Simeon was ready and waiting, room in his heart to see the wonders of God. The days were dark, the plight of the people was dim, but the Light of the world helped them rejoice. Common every day people with room in their hearts to consider the promise. Shepherds going about the fields. Wise men going about their observations. Residents and travelers going about their days. Devout Jews going about their temple rituals. Ordinary days made extraordinary by the arrival of a Promise and the twinkle of Hope. And inside the ordinary comings and goings we glimpse the true Spirit of Christmas in Simeon. In my Bible, next to Luke 2:7, I have penciled, "Leave room for Jesus". The inns were full of everyone and everything else, they could not receive Him. No Christmas Spirit there. Just business. Perhaps I'm going too far out on the limb, but somehow this speaks to me deeper than any other passage on the hope and promise and True Spirit of Christmas. The year my mom died looked to be the 'worst Christmas ever'... but it wasn't. It was lonely without her. Many tears were shed. My marriage was rocky. Our finances were strapped. My children were too young at the time to understand... they needed me. In the midst of this dark time in my young life, I never lost the "Spirit of Christmas" because the true Spirit of the season isn't something you can loose. And it isn't something which just exists in December. 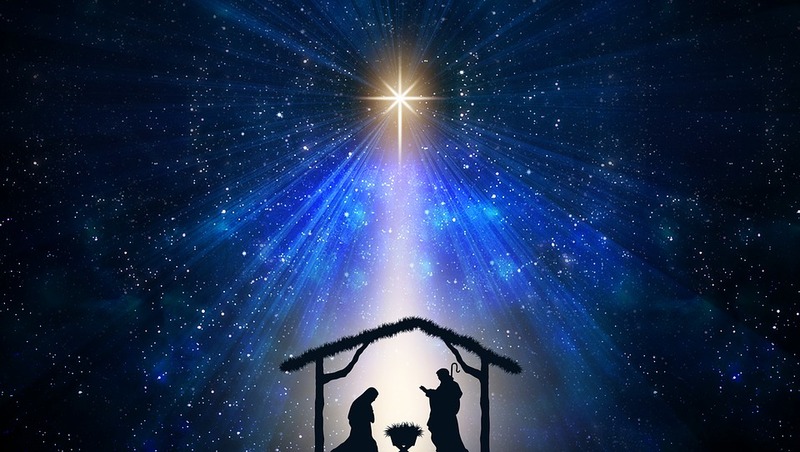 It is the celebration of our salvation which was made possible that O Holy Night when the Promise issued into the cold dark world and gave Light to mankind. 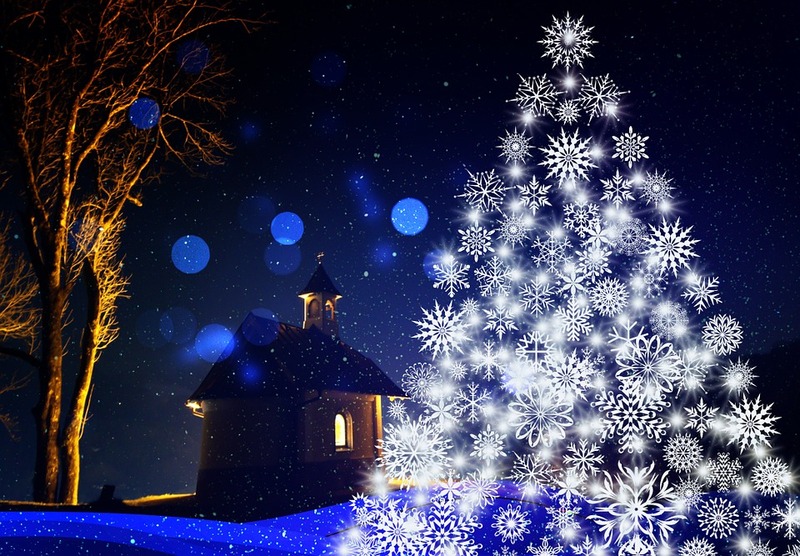 Lights on a tree or strung along a home's gables are merely symbolic of the Light in the darkness. Gifts chosen and given with heart are symbolic of the Greatest Gift all mankind could ever hope to receive. Evergreens bedecked with baubles and berries are a reminder of eternal life, even in a winter's storm, we can know strength and beauty in the most harsh of climates and conditions. If our Christmas Cheer is done with a heart to love, be relational, and share hope, all as God did through Jesus Christ, then the Christmas Spirit is in us. But what if you just can't "get into" the Spirit of Christmas. May I make a suggestion? Perhaps you are going about it all wrong. Getting "into" the Christmas Spirit isn't about buying more gifts, hanging more lights, going to the next Christmas Party or decorating another corner of your home. Those things aren't bad... but they aren't the source of Holiday Joy. When we celebrate birthdays and occasions of significance, we decorate, make a cake and give meaningful gifts. I believe Christmas frivolity to be an extension of this concept. But, no, it is not the headwaters of joy and love and Spirit. Even during the worst times of our lives, Christmas Spirit can simply be the clinging to hope. If frivolity is our focus, we will forget. But if HOPE is in heart, the frivolity is the outward manifestation of the inward work of the Spirit. Get into your Bible more. Not a glaze over, "Yeah, I did my 15 minutes of Bible 'study' today: check." No, read closely each and every line of the wonderful first Christmas narrative. Look up the cross-references. Dig into passages on salvation, Christian living, hope and strength and truly consider Christ and the magnificence of the salvation and eternal hope He has given you. Contemplate His Truth and make ready to modify your life in areas His Word shows you need deeper application. Pray. Talk to God. Give Him your cares, your worries, your struggles. Invite Him to clean house in your heart! Not white-wash, no, ask him to bring a bucket of hot soapy water and a high-grade scrub-brush!! Get all sparkly clean. I won't lie: it hurts at first. But the harder more space you give for Christ to scrub, the easier it will become... you will learn to LOVE being cleaned up! MAKE ROOM for Jesus. Clear out the clutter in your heart. Old hurts: forgive them. Longings: give them to God for His timing (if) and delivery. Broken relationships: ask God to heal them. Everywhere anxiety, stress, control, insecurity and any other counter-productive feelings are sitting in an easy chair making a mess, ask God to help you usher them out, clean up the debris and REPLACE it all with Jesus. Anxiety and stress: surrender and trust Jesus, regardless of outcomes, God has a plan. Control: you were never in control to begin with, quit trying to grab the wheel from God and let Him do the steering (I promise, He won't steer you wrong, even if the road gets bumpy). Insecurity: may need some DEEP elbow-grease scrubbing to wash away, but here is a starter: in Christ you are Secure and it is OK to own that truth! Make Room for Jesus and the Spirit will fill you. The lights of Christmas will seem brighter, the decorations cheerier, the Jolly Old Man more purposeful and the manger... that manger will appear as more than hay and babe. No, it will become the brightest light and fullest Spirit of Christmas you have ever experienced. You don't have to forgo traditional celebrations to enjoy the true "Spirit of Christmas", you simply need to prioritize your heart, what you are thinking on through the holiday season, and the drive of your frivolity. We don't forget hurt and struggles at Christmas, we simply put them into their proper perspective: God is in control and what matters most in life is the hope of salvation we have because He sent a babe to a manger. A babe who would one day become a Man ready and willing to not only teach the most profound lessons in life but also to DIE so we could live forever with Him. Sometimes, in the buzz of life, still is what reconnects us to the most important things. Often, in the hurt of life, still is what brings healing. Always, in the quiet of life, still is where we find rest. Our family has been going through a difficult time. Re-phrase: my daughters and I have been going through a difficult time. Not with each other, rather, with outside forces in LIFE. Relationships, failed hopes, unknowns... Yet, as we walk through these struggles together, arms linked, we are united in the Spirit by a simple idea: stillness. The stillness is where we pray, where we draw strength, where we find peace. It is where we recharge on Truth and wait for marching orders. Still is a gentle language God often speaks. We have been learning to follow His lead and use stillness as a source of response. After all, it is often when we are burning to say the most that we need to cool and say the least, for, it can be when people are hurtful or challenging that our stillness in response is where we find the best counter to any argument. Pointing to Jesus, letting our silence and gentleness speak of hope and peace, still begs us listen. If God speaks still how much more might others 'hear' Him if we learn to speak it as well. In still we are getting through this current battle. We are remembering how, even in the unknown, God is known and He holds it all. After all, it was in the still of a crisp dark night that hope entered this world and the Light came to all mankind. It was in still that Jesus found victory when He gave up His life for ours. I pray, wherever you are today, that you find still moments to hear the beat of God's heart and trust His powerful process and work. ...And all went to be registered, each to his own town. How many of us have this iconic Christmas passage from Luke memorized? Don't feel bad if you don't, my point is simply how this passage is among the most quoted from the historical story on the account of Jesus' birth. It is easy to take for granted and begin to quote as rote. A call had gone out for all to report to their "own" towns, where lineage lied, to be counted. If God is a God over ALL, including governments, it could be reasonably stated that this call was inspired by God in order to have Jesus born right.where.He.wanted. And so there they were... in the town of Bethlehem, the city of David. What is so significant about that? since I have rejected him from being king over Israel? the Bethlehemite, for I have provided for myself a king among his sons." And Samuel said, "How can I go? If Saul hears it, he will kill me." And you shall anoint for me him whom I declare to you." Every single detail of Jesus' birth was prophesied about: when, WHERE, how and so on, another fact which can quickly become rote if we are not careful. Aside from prophesy, what grabs me about this narrative today is how Jesus' birth; a consecrated event of the Lord; mirrors that of another consecrated event centuries before in DAVID's city. Samuel was greatly upset at King Saul's waywardness. But God says, 'pull yourself up by your bootstraps man, I got this...' God has a plan, he never didn't have a plan, and HE knows what he is doing. Samuel is scared though... if Saul learns of his excursion it could be death, so God says, you know what, let's go into this under the auspice of a sacrificial ceremony and we will make it happen that way. No one is the wiser, Samuel lives to pray another day. From there, a child, David, is whom God says YES to. Fast forward and the ruse is a Census, the 'child' is a baby born, and the work to be done... will be the greatest, most profound in all of history. They walked the streets Samuel and David walked. They revelled in hope and mighty God as Samuel and David did. This trip to Bethlehem was no ordinary trip... no. It was wrapped in something much more extraordinary. You may be in awe right now.... or, you may be thinking, 'Yeah, that's cool and all, but....' other than the 'awe' is there a take-away? Where are we right now? Physically, emotionally, spiritually.... God has us in a specific place, at THIS time, in particular circumstances, for a specific reason. Mary traveled heavy with babe. Google maps tells me their trek took, at minimum 4 hours and was just over 9 miles. That may not seem like a lot but OVER four hours, 9+ miles on sandaled foot over harsh terrain....pregnant. Circumstances weren't peachy-keen. They may have traveled simply thinking on responding to Cesar's order, however, we have the benefit of a historical lens, able to see how it wasn't really Cesar commanding their presence, but rather, God called them there using Cesar. God knew Mary's condition. God knew the inns would be full. One could have mourned the situation, as Samuel did with the Saul dilemma, or they could see God's hand, and go. Do we see God's hand right now? Are we prepared to trust Him? To be used by Him in what appears to be the ordinary in order for Him to perform the extraordinary? It could be as big as a ministry response He is calling you to. It could be as simple and ordinary as letting a frazzled mom cut in front of you at the grocery store. Whether you are having a good day or a bad day... whether your finances or marriage or relationships are in good shape or not... GOD SAYS GO and we can trust Him to take care of it all. We know the rest of the story here. Long journey, tiered body, no room, baby is coming. They were put up in a dirty, germ-infested, animal filled stable and there, in the middle of ordinary filth and darkness, something extraordinary and pure took place. I pray your heart would find go at Christmas. To respond to God, even in the form of ordinary duty, and welcome opportunities to be part of extraordinary blessings which breathe hope to those in vicinity. I know some of you may have already stamped and sent your yearly correspondences but I am a bit behind the game this year... and I suspect others might be as well! So, to inspire my fellow stragglers out there and get our creative juices flowing I thought I would share our top 5 favorite annual updates from years past! ... was an homage to my oldest's university graduation with double majors in business and economics. We re-capped the ups and downs from the year, ranging between graduation travels, book publishing, formal dances, new jobs and my step-dad's cancer diagnosis along with various other in-betweens! It took one page, front + back, and family loved the details! "The Jones Family 2008 In 150 Words or less!" ... was actually a time and money saver resulting from my husband's lay-off during the recession!! I could fit TWO color copies on ONE page printed from my home computer! Short, sweet and garnered many emails and phone calls from family I hadn't heard from in years. They were desperate for more details and I loved the unexpected opportunity to catch-up!! We broke the updates down by family member and included a favorite picture from the year of each of the kids. Inspired by popular Late-night T.V. lists of the time, we highlighted highs and lows from the year. Similar to the 17 Stats from 2017, but different in that the top 20 list was more incremental; building to big praises from the year. It took one page, front + back and included updated pictures of the kids. "The Jones Family By the Numbers..."
This was an all-time extended family fave. Years after it's issue I had relatives tell me how they STILL had their double-sided bookmark style family update tucked into favorite books/Bibles to this day!! The idea was found in a Family Fun magazine article. I don't remember if it was originally a 2-sided bookmark but that is what I went with (pictures on one side, stats on the other)! I printed them on my home printer using card stock. I think I fit 4 on a page and used a paper-cutter to separate them. Each was mailed in regular letter envelopes with Christmas Greetings. Adult "children" with not a ton of pictures or news to report on them. Still not sure where to begin with this year's missive!! How are you doing (or have you done) your newsletter this year? What has been your favorite family Christmas newsletter from the years? In case you haven't heard, I put together a HUGE printable package for December's newsletter which I would still love to share with new subscribers! It contains information and an array of helpful worksheets to get all the tidbits of your holiday season organized including pages for tracking names, addresses, and Christmas card correspondences by the year.